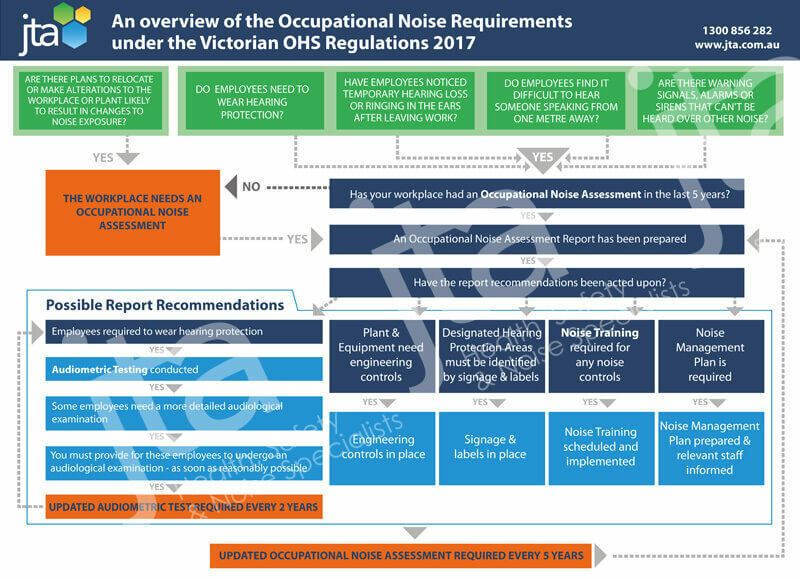 Our Noise Regulations Flowchart shows an overview of what you need to do to comply with occupational noise requirements under the Victorian OHS Regulations 2017. The release of the Compliance Code for Noise in March 2018 means that Worksafe will be expecting Occupational Noise Assessments to be carried out to a high standard. The Code provides practical guidance for employers to meet their duties and obligations in relation to noise under the OHS Act and OHS Regulations. 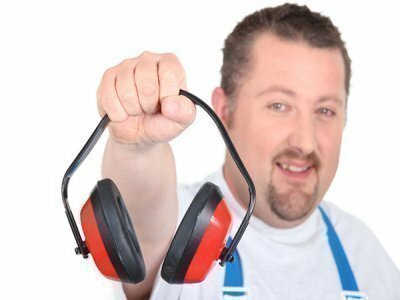 The Compliance Code specifies how Occupational Noise Assessments are to be carried out and what approaches are to be used to determine if employees are exposed to hazardous levels of noise. JTA has the experience to accurately measure noise levels at your workplace and to tell you what controls you need to put in place to be compliant.